Luxury Living at its finest.Front facade is natural stone. Lake's view from upstair bridge. 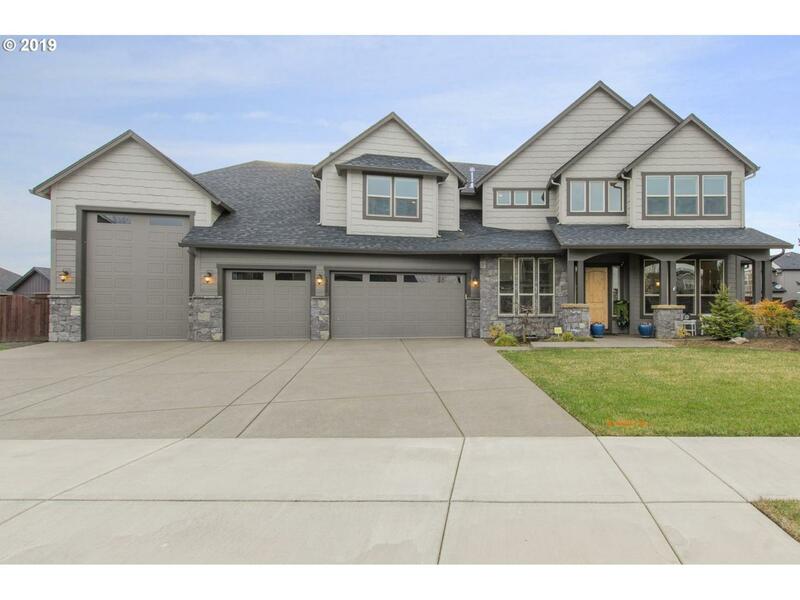 5 bed 3.5 bath.Engineer Acacia hardwood floor/Hickory cabinets. Lg pantry.Granite counters w/ tile backsplash. Heated tile floor in master bedroom bathroom.Bonus room wired for home entertainment.Power curtain on high windows.Extra deep 3 car garage with 2-600lbs storage racks and 40ft RV garage with sewer dump. Built in security system. .